Thirsty Pilgrim: Of Beer and Twisters. Back in Springfield, Missouri, there were three topics dominating local conversation: Dorial Green-Beckham, the Joplin tornado, and Mother's Brewing. Green-Beckham is a high school football player and probably the area's most promising athlete, ever (golfer Payne Stewart notwithstanding). The tornado, as you might have heard, was America's deadliest in more than 60 years. More than three months later locals are focused on fund-raising and recovery. Mother's, meanwhile, is the sort of production brewery that my hometown of 160,000 people had lacked for too long. Mother's opened on May 14. Mother's Day, more or less. The tornado struck nearby Joplin eight days later. I visited the brewery last week, on August 24. 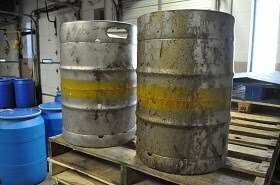 Earlier that day, these two filthy Mother's kegs arrived at the brewery, making their long-awaited return--from Joplin. Recovery workers only recently found them amid the rubble. The kegs most likely came from Pizza By Stout. Opened in 1978, that pizza joint was one of many local institutions destroyed by the tornado. The Stout family recently announced on the restaurant's website that they would not rebuild. It's worth noting that Mother's held a benefit concert for Joplin on May 26. It raised $15,000. More about Mother's: Marketing guy Jeremy Wicks has done a whiz-bang job with local branding. (Check out the logo painted on exposed brick at the J.O.B. Public House, which I liked so much I'll save it for a future post.) Draft beers have been around since May, but bottles went on sale locally just this week. The tasting room is open for at least a few hours, four days a week, which is just plain civilized if you ask me. 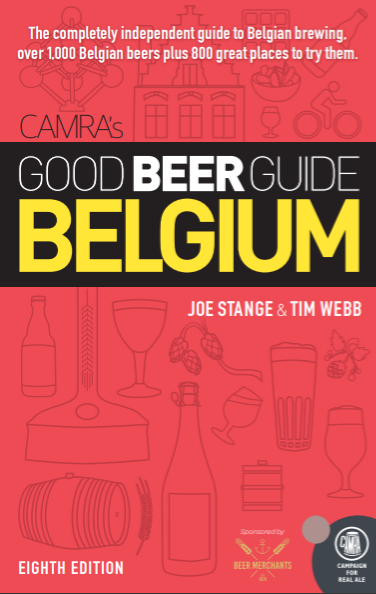 My take on the beers in 60 words: The Towhead blonde and other lighter offerings are all highly drinkable without ducking real hop character. The L'il Helper is too resinously bitter to be my cup of, um, IPA. But for a favorite I'll tap the Three Blind Mice, whose German Altbier influence was as clear as I'd hoped. Overall, they are beers meant for drinking. To try them you'll have to get down to the Ozarks... although it's always possible that future success or freak tornadoes could send them farther abroad. If you have only one day, make Urban Chestnut a priority. Start with the Zwickel and then get weird. From there you can also walk to Six Row, Buffalo, Pappy's BBQ and the Good Pie (solid pizza with local brews). Taphouses the Bridge and iTap Soulard will also give you a good selection of local beers. There is lots, lots more to tell but that ought to get you started. Also check out Mike Sweeney's stlhops.com and Evan Benn's Hip Hops column for the Post-Dispatch. Evan's Brew in the Lou book might be exactly what you need. The Morning After: Scones at Lazy Jane's. Channeling Papa H. for the Morning.